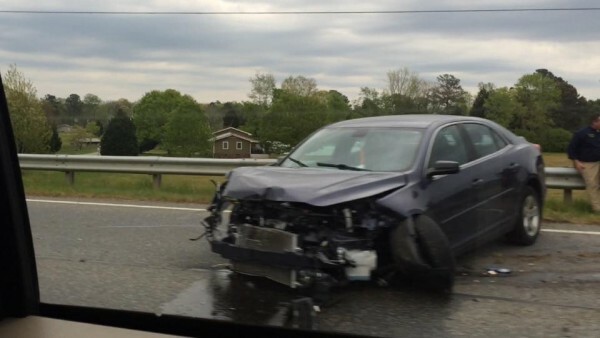 Wednesday afternoon a drowsy driver crashed his car into the guardrail on Hwy. 27 near Rock Spring after falling asleep behind the wheel. The driver, who was not seriously injured, identified himself on LU Facebook as Antwan Williams of LaFayette. Williams and his family say he was traveling from school to work when he fell asleep. Last month Fort O. police officers considered charging Elizabeth Ann Reyna with child neglect or abuse when her toddler wandered off (again) while left home with inappropriate caregivers. FOPD, Catoosa DFCS, and District Attorney Buzz Franklin could never decide on a charge, so the matter wasn’t addressed. Now Reyna and her boyfriend Billy Ray Crawford are facing serious charges of Second Degree Murder after the same 18-month-old drowned in a pool – thanks to their own neglect and lack of action from proper authorities. Catoosa DFCS is really batting a thousand lately for kids ending up dead. But sounds like the biggest problem here is the District Attorney’s office telling police not to file charges on the earlier incident. City council seeks to update city zoning, to clean up the town’s southern entrance along South Main, by limiting chain stores and similar businesses from building there. The restrictions may expand to other roads like West Main and Villanow St.
WQCH Radio, 04/13/16: “THE LAFAYETTE CITY COUNCIL HAS DECIDED TO UPDATE THE 40 YEAR OLD ZONING PLANS, AND VOTED TO ‘START THE BALL ROLLING’ TOWARD A CHANGE IN ZONING FOR SOUTH MAIN STREET. COUNCILMAN BEN BRADFORD MADE THE MOTION AT MONDAY’S COUNCIL MEETING, AND IT PASSED 5 TO NOTHING. “THE NEW PROPOSAL IS TO CHANGE FROM THE PRESENT BUSINESS ZONING TO O-1 ALONG SOUTH MAIN, WHICH WOULD ‘MIRROR’ THE ZONING ON NORTH MAIN. O-1 KEEPS A ‘RESIDENTIAL FEEL’ WHILE ALLOWING CERTAIN TYPES OF BUSINESSES TO LOCATE WITHIN A MOSTLY RESIDENTIAL AREA. “EXISTING BUSINESSES SUCH AS ACE HARDWARE, DOLLAR GENERAL AND WHOLESALE PLUMBING WOULD BE ALLOWED TO STAY UNDER A ‘GRANDFATHER’ CLAUSE. BUT IF SUCH BUSINESS BUILDINGS BURN WITH DAMAGE AT OVER 50-PERCENT, THEY COULD NOT BE REBUILT. “BRADFORD SAID THAT AS A CORRIDOR-ENTRY ROUTE INTO THE CITY, THE O-1 ZONING WOULD HELP SOUTH MAIN ‘IMPROVE IT’S IMAGE’ AS YEARS GO BY. HE HAS ALSO PROPOSED THAT THE COUNCIL LOOK AT CHANGES ON OTHER CORRIDOR ROUTES, INCLUDING EAST VILLANOW AND WEST MAIN. THE PROPOSED CHANGE TO O-1 ON SOUTH MAIN MUST GO THROUGH THE ZONING CHANGE PROCESS, WHICH INCLUDES ADVERTISEMENT AND A PUBLIC HEARING. It’s good to try and clean up the city, it’s also good to keep a lot of chain stores out of residential areas like Villanow Street. How do you feel about the council’s new proposal? 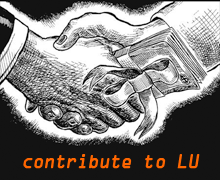 An earlier poll on the LU blog, which included presumed independent candidate Perry Lamb, was participated in by 517 people. 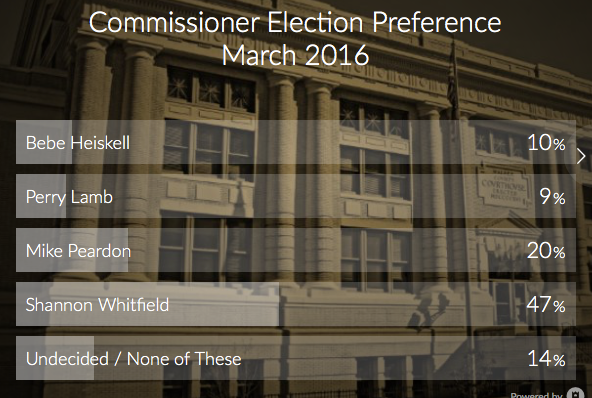 It appears Lamb and Peardon split the “not Bebe or Whitfield” vote there, which would have given Peardon a better showing otherwise. 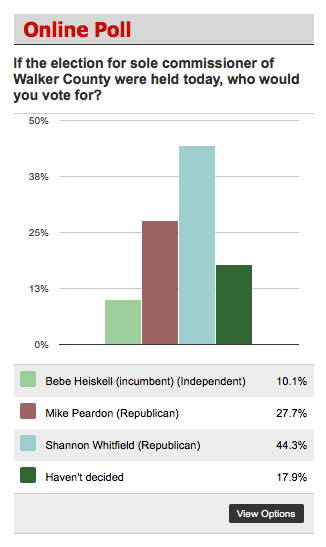 It’s unclear how many have voted in this ongoing poll on the Catoosa-Walker News / Walker County Messenger site, but that one too shows Bebe way behind even “undecided” in a three-way race – at least among those who participate in online polls. In the actual vote on May 24th, only two candidates will be on the Republican primary ballot: Whitfield and Peardon. In a race with only those names, who would come out on top? Fountain Plaza was hit by thieves, twice, during the same week. A week ago Thursday “several” men driving a red Isuzu Trooper spent about an hour and a half damaging equipment at the car wash, getting about $50 in quarters for their trouble. WQCH Radio, 04/13/16: “THIEVES HAVE DAMAGED COIN-OPERATED MACHINERY AT FOUNTAIN PLAZA CAR WASH FOR THE SECOND TIME THIS MONTH. IN THIS CASE, ABOUT $10 IN QUARTERS WAS TAKEN FROM A MACHINE IN WASH BAY FOUR. “VIDEO SHOWS A WHITE MALE IN A DARK-COLORED 4-DOOR PASSENGER CAR IN THE AREA AT THE TIME OF THE THEFT, AROUND 6:40 LAST SATURDAY MORNING. THE CAR WASH CONTROLS IN THAT BAY SUSTAINED DAMAGED. These kinds of thefts are especially ridiculous because they do hundreds or thousands of dollars in damage to get a few bucks. Same with a lot of metal thefts. Repairing the damage costs a lot more than what the thieves gain. What’s going on at Arby’s? A quarter-million-dollar remodeling that will put the LaFayette store on track with its corporate parent’s sharp new image. 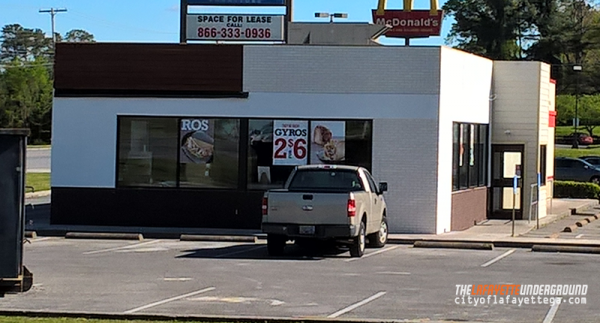 The store is getting a remodeled interior and furnishings, new exterior, and new signage. This is what we can expect when it’s all done. 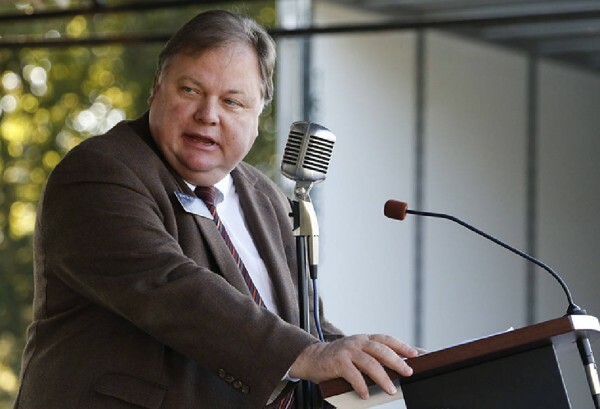 Catoosa County’s Republican Party made a big point out of re-opening campaign qualification for GA House District 3 when the incumbent candidate quit. But three new candidates who qualified to run were made ineligible to be on the ballot because the party turned their paperwork in three hours late. So the state party voted to reopen candidate qualification AGAIN to avoid handing the election over to candidate Dewayne Hill without a fight. But this time the candidates have to drive to Atlanta and file their paperwork in person. In 2014, Chickamauga leaders (including then-councilman Shannon Whitfield) voted to buy a closed 1950’s swimming facility and turn it into a city recreation area, annexing land and homes around it into the town. Now renovations are proving too costly, so Chickamauga’s current leaders are giving up on the still-closed pool and hoping to sell the land under it for development. Sounds like they realized it was going to cost more than it was worth before they did major work, but Chickamauga is still out what it spent on the land AND has to continue giving city services to lots annexed into the city as part of the purchase. This is the kind of dumb move Bebe would make… Hope Mr. Whitfield makes better decisions than THIS one if he takes her place next year. 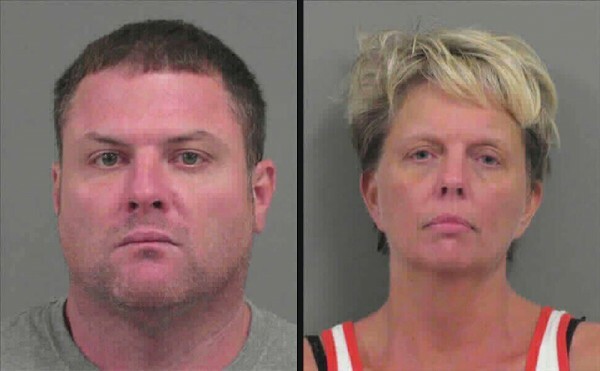 Walker County arrests, April 6-13. King, Debord, Teems, Solis, Beason, and many more. During the 2016 legislative session, lobbyists spent over a half million dollars wining, dining, “educating,” and vacationing state lawmakers. Reduced-cost rabies clinics began yesterday and will continue next weekend in various places around the county. Next week’s locations include Broomtown Rd, Kensington, Naomi, and Wood Station. Cost is $10 for dogs or cats. 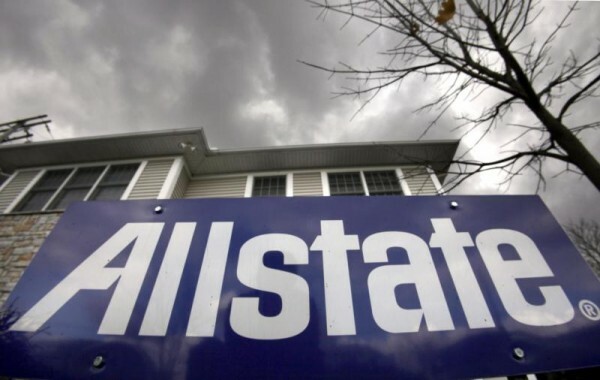 A proposed 25%+ rate hike from Allstate insurance launches an investigation from the Georgia Insurance Commission. Other companies’ high rate increases over the last few years haven’t been opposed by Insurance Commissioner Ralph Hudgens, so why this one? Too much too fast or did they forget to give him a free vacation first? A judge recently decided that Georgia’s ridiculously difficult balot access rules for third-party presidential candidates are unconstitutional. The state (specifically, the Secretary of State’s Office and SoS Brian Kemp) is appealing that decision, because God forbid somebody run for something outside a party. Without party affiliation how are we supposed to know how to vote and who to hate? 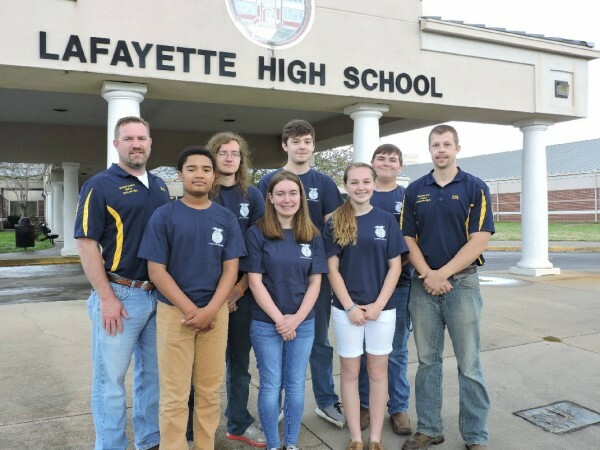 LHS’s FFA team recently won the Georgia Wildlife Management competition. Congrats to the kids and the school. Georgia is rolling out a pilot program in three counties with the lowest unemployment, requiring able-bodied food stamp recipients who don’t have children to get jobs, take job training, or volunteer in order to keep their benefits. Georgia Public Service Commission, the state entity charged with overseeing utility rates, has signed off on a proposed $12-billion buyout of natural gas company AGL Resources by Southern Company. The deal would make Georgia Power, the state’s largest power company, a sister to AGL – one of its largest gas providers. 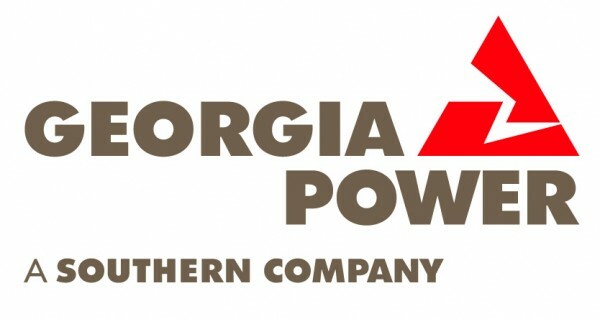 The ultimate result of this merger will be giving Southern Company more power to jerk prices around and more weight with state leaders who already do whatever they ask. Georgia Department of Education will soon roll out new standards for science classes. Why does Georgia have so many dang counties? From the 1880’s until the 1960’s, individual votes in Georgia elections didn’t count – only the number of counties a candidate won. In that era, winning Walker County with its few thousand people was the same as winning a big one like Cobb or Fulton. So more tiny counties in rural areas meant more power for farmers and less for those living in cities. Law Enforcement in Walker and all adjacent counties voted “Stupidest Cops on the Planet Earth”. 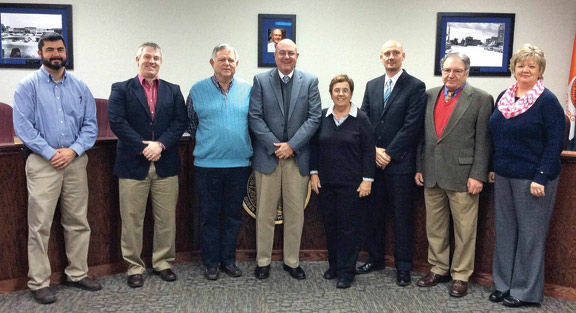 LaFayette City Council voted 2nd on list of “Most Stupid-looking, and Inbred-looking Bunch of elected people in any U.S. county, town or cross-roads governing unit.” New Albany MS came in first.